Castlight is proud to sponsor the upcoming Employer Health Innovation Roundtable (EHIR) Cohort in Las Vegas, September 20-21. EHIR gathers top HR and medical leadership from over 40 Fortune 100 companies, sharing a mission to accelerate the pace of innovation in health and wellness. 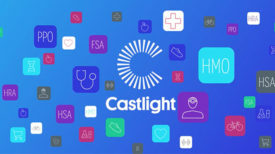 During the Las Vegas Cohort, Castlight CEO, John Doyle will co-host a panel session alongside representatives from Quantum Health and Crossover Health titled, Point Solution Integration Alternatives to Streamline Employer Implementations.